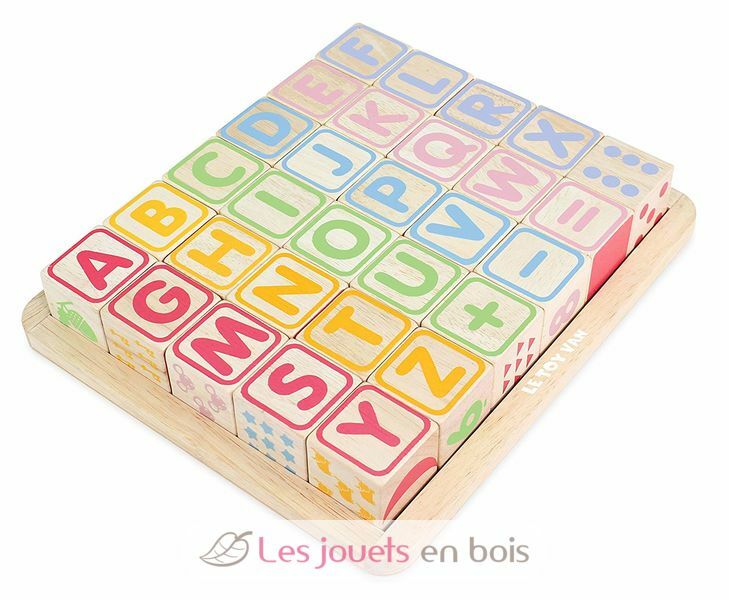 An extensive classic alphabet & numbers blocks set, beautifully crafted from solid rubber wood. 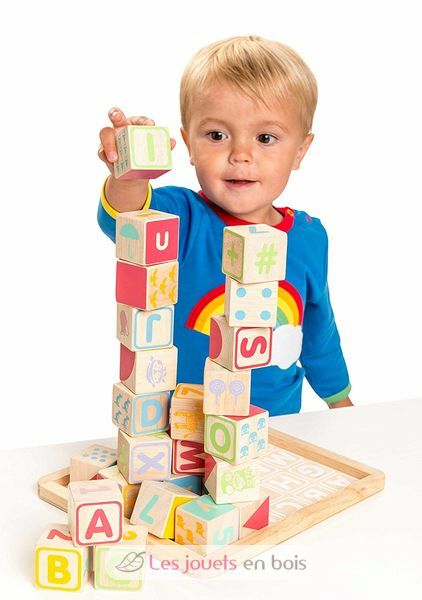 The set features upper and lower case letters as well as numbers from 0 to 9. 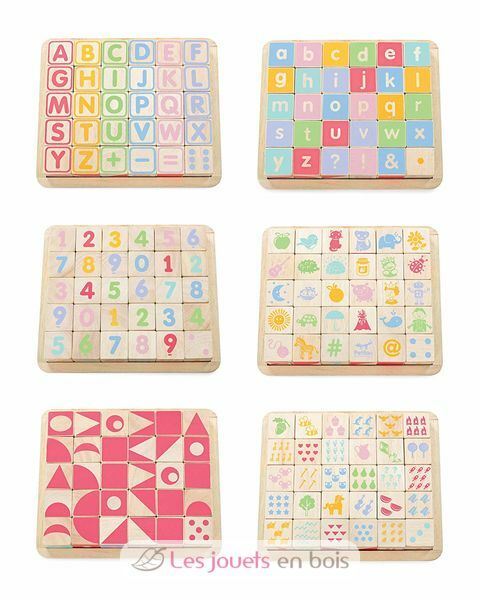 The illustrations are related to the letter on the block to support clear letter & number recognition. 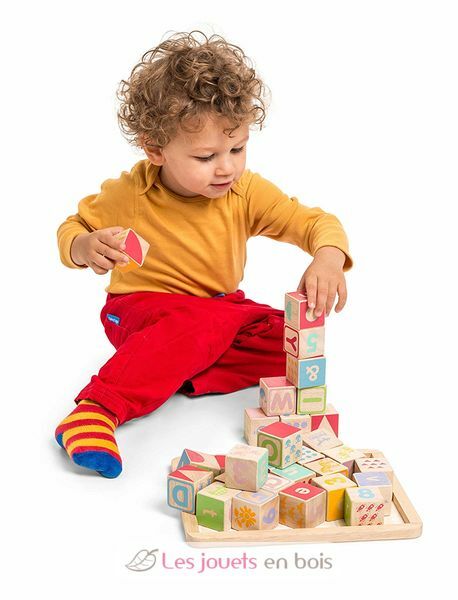 The sixth face can be used to create objects and animals. 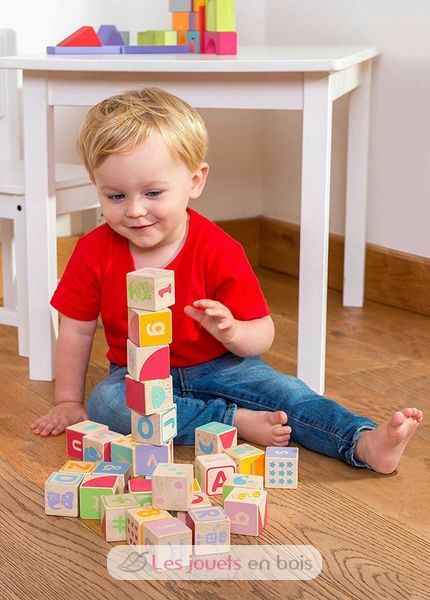 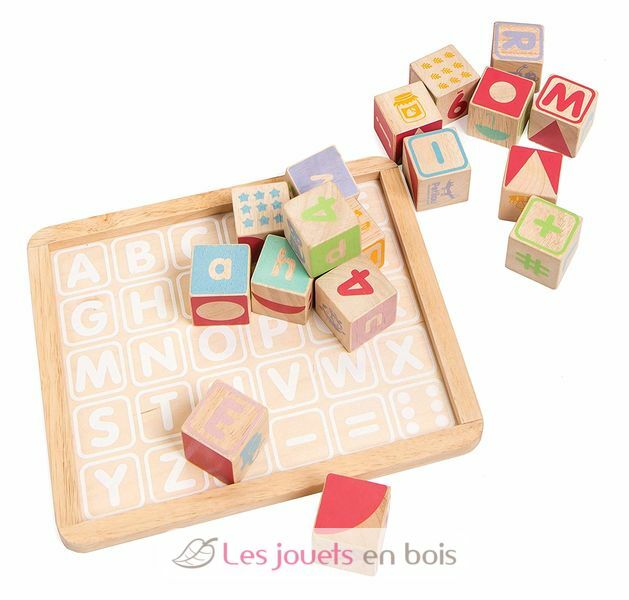 Complete with a wooden tray that has a printed alphabet on the base, the ABC block set can also be played with like a puzzle to support alphabet learning. 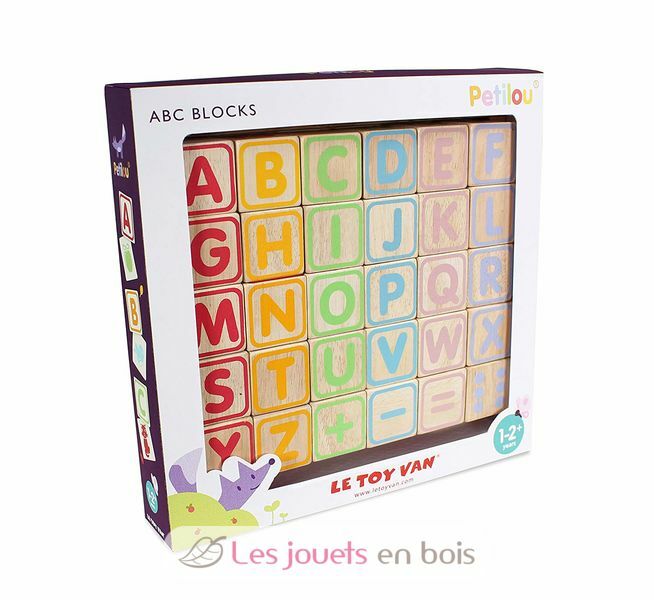 ABC wooden blocks, 30 wooden blocks, “Petilou” collection made by Le Toy Van, item number PL101.